Governor Simcoe strawberry, the intensely flavoured ugly duckling of the bunch. 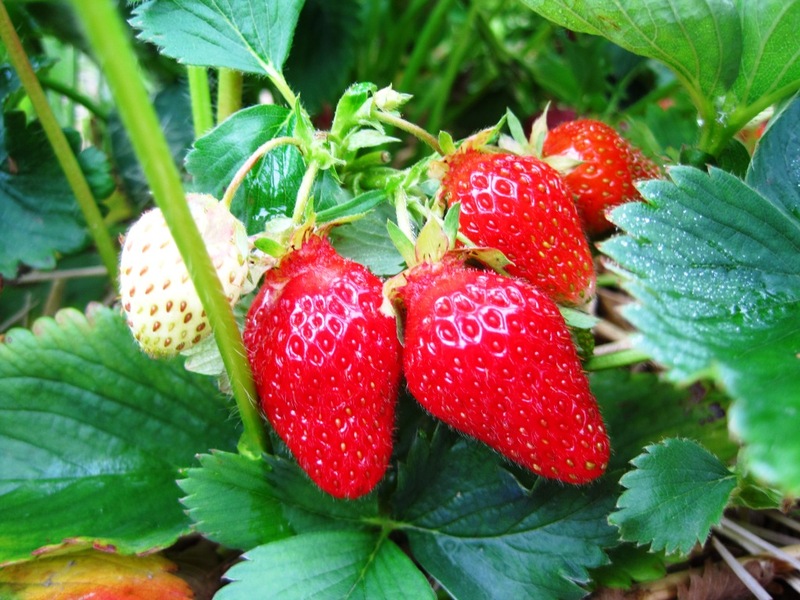 Small, perfectly shaped, delicately perfumed, authentically flavoured Annapolis strawberry. Yesterday I went strawberry picking for the third time this season. I just can’t resist the bright red berries! Going early in the season and again later, allowed me to pick different varieties. The first two weeks, I was picking “Mira” strawberries; yesterday they were “Governor Simcoe” and “Annapolis.” The difference in size, colour, and especially flavour is striking. The Mira strawberry is large berry (easy picking! ), looks just ripe, and has a mild flavor. 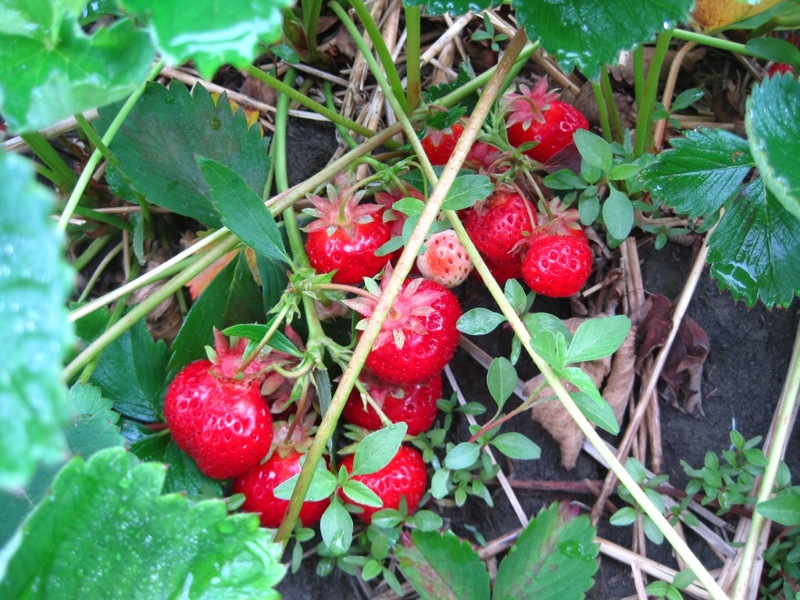 Governor Simcoe strawberries are small and round, light red, and have a distinct, almost artificial strawberry flavour. I was quite surprised by its intensity when I popped the first berry into my mouth. Meanwhile the Annapolis strawberry is smaller than the Mira, but with an even conical shape and a deep red colour. 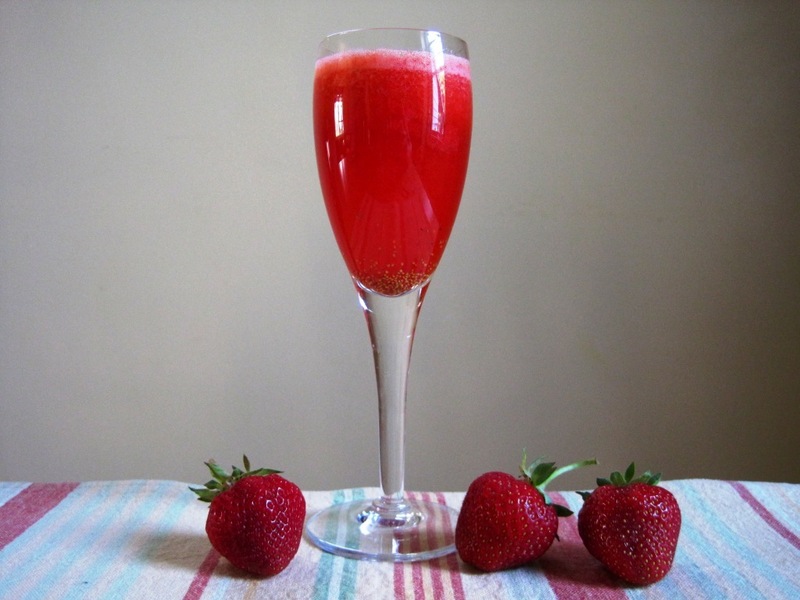 This juicy strawberry has a delicate perfume, and a rich, authentic flavour. Now that I’ve had the opportunity to compare the three varieties and make tasting notes, I’d plan picking, jam making and desserts differently next year. I think Mira would be best for pies and desserts, e.g. strawberry mousse or ice cream, in which they’d benefit from a touch of sugar to boost their flavour. I’d use the Governor Simcoe for jam, where looks don’t matter, but flavour is important. The Annapolis strawberries deserve simply to be piled in a big bowl and eaten like that. 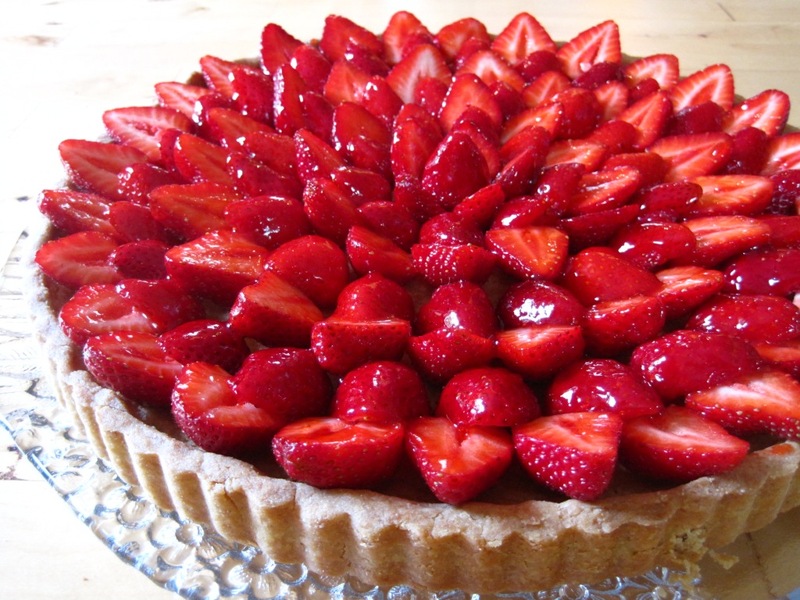 Annapolis would also be beautiful in desserts where the strawberry contributes to the aesthetics, like a tart with halved strawberries on top. And that’s what I made last night. Beautiful dessert with a delicate and delightful combination of almond and strawberry. I have a notebook full of handwritten recipes that I started collecting when I was a teenager. The recipe came from the now defunct Gourmet Magazine. A quick search for “strawberry frangipane tart” on epicurious.com turned it up! Although it calls for strawberries and raspberries, I used only strawberries. I also made a different recipe for the pâte sucrée (sweet pastry dough). I suggest adding the strawberries on top shortly before serving. This tart doesn’t keep well, so if there’s a slice left over someone should make the sacrifice of finishing it off! Why is a strawberry called a strawberry? Strawberry and rhubarb are a classic combination—sweet and tart come together for a mouthful of deliciousness—yet it’s not often that they are both really in season at the same time. Granted, you can still get rhubarb for quite a while after it is first available, but for me it’s more associated with spring. Strawberries belong to summer. This year the strawberries are early and the rhubarb still plentiful, so I’m compelled to combine the two. Here are two recipes: one savoury, one sweet. These bruschetta have bright, fresh and balanced flavours with a combination of textures. Have plates and napkins on hand. Eating them can get a bit messy—there’s the risk of strawberry pieces falling off and the balsamic vinegar dripping! Measure goat cheese, crumble it into a bowl and let it come to room temperature; this step will make it easier to mix in the rhubarb at a later step. Cut 12 1 cm-thick slices of baguette. Place them on a baking tray and toast at 350°F until lightly browned. Remove from oven and cool. Combine chopped rhubarb, sugar and water in a saucepan. Simmer 5-10 minutes until rhubarb breaks down. I wanted a relatively dry compote, so I started with 1 tbsp water (rhubarb will release water as it cooks), and added more when I noticed there was a risk of sticking/burning. Remove from heat and spread on a plate to speed up the cooling down process. The compote can be made in advance. Stir the goat cheese until smooth. Once the rhubarb compote is cool, mix ½ cup into the goat cheese (you may have some compote left over) and season with the cracked peppercorns. The goat cheese mixture can be prepared in advance. Shortly before serving, halve strawberries lengthwise, then slice. 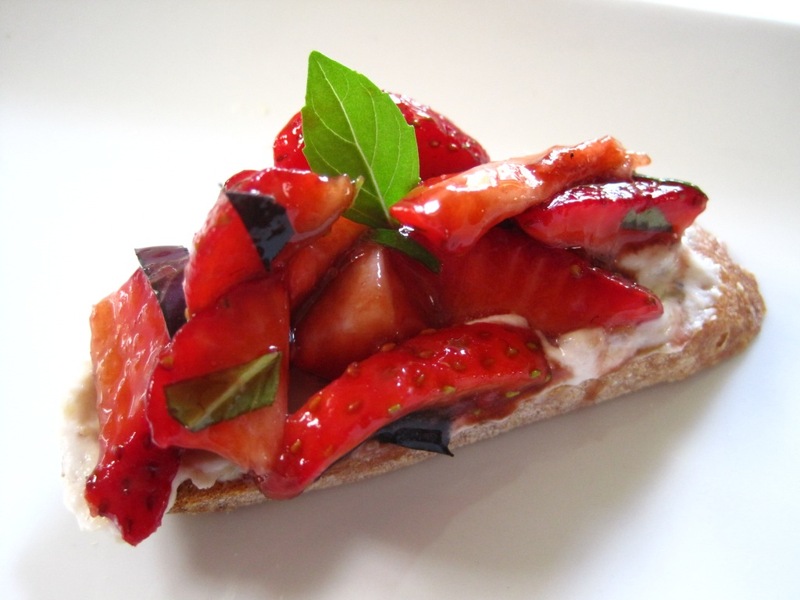 In a bowl, combine strawberries with balsamic vinegar and basil. Just before serving, make the bruschetta by spreading some of the goat cheese mixture on the slices of toasted baguette. Top with the strawberry mixture. Serve immediately. YUM! Looking forward to lunches with strawberry-rhubarb muffins this week! I made yummy rhubarb syrup yesterday, so I’m using the leftover rhubarb “mash” in these muffins. This mash is already sweetened, so I’m only adding ¼ cup sugar; adjust sugar according to your taste. To make rhubarb compote without making the syrup, place 2 cups chopped rhubarb, 2 tbsp sugar, 1 tbsp water in a saucepan and simmer until rhubarb breaks down. If making muffins with the compote, increase sugar in recipe to ½ cup. Combine all wet ingredients, adding strawberries last. Combine flour, rolled oats, baking powder and salt. Pour wet ingredients into dry, and blend gently until flour mixture is just moistened. Even after making 16 jars of jam with the strawberries we picked this morning, we still have lots left. 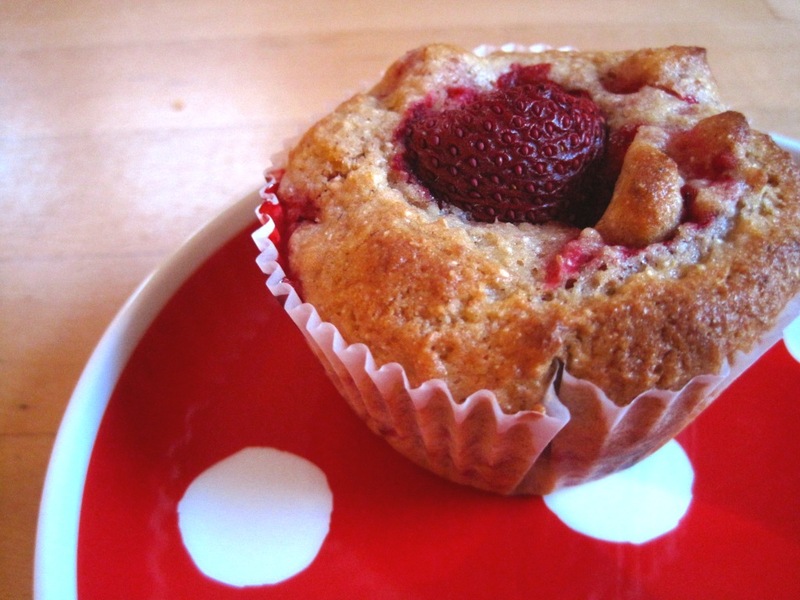 This week’s muffins have a tender lemony crumb and are studded with strawberries. They’re named after what David exclaimed when he saw them cooling in the kitchen. 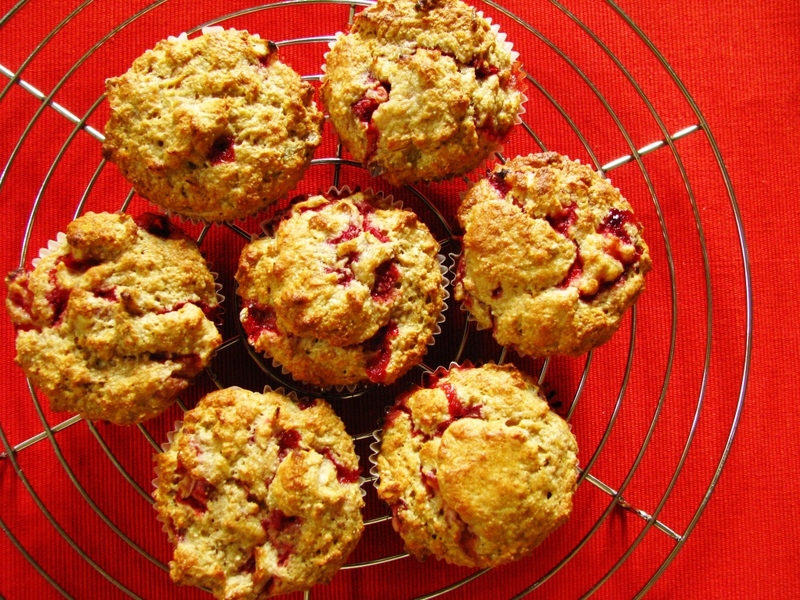 Looking forward to having these "Strawberry Explosion Muffins" in my lunch this week! Combine all wet ingredients, adding strawberries last. Combine flour, baking powder and salt. Pour wet ingredients into dry, and blend gently until flour mixture is just moistened. Replace the strawberries with the same amount of blueberries.